Why do you want to rank number one on Google search results? Is this really going to help you get the results that really matter – leads, revenue and all of those fun things that are going to grow your business? Determining where your traffic is coming from and what your ranking opportunities are is essential to making sure you have an effective strategy to rank in Google search results. Here are a few things you can do to get the most out of your search engine results and rank higher in 2015. Use the keyword planner through Google to figure out the words that people are using to find your business. You might be pleasantly surprised – or wonder “‘why the @!$ # would people search for that to find us? – but knowing which keywords are less competitive but have a high number of searches will help you determine which keywords you have the opportunity to rank highest for. You can also use Google Trends to determine which words are used more often to search for your product or service (for example, I might use Google trends to see if I should optimize for “inbound marketing” or “content marketing”). Once you know the keywords you should be targeting, start by incorporating them into your content. This includes writing optimized blog titles, using keywords on your website pages and in page titles, etc. The more you use these words – as long as its done in a way that is natural and not forced – the higher you will rank. I promise! To go along with your keyword strategy, look at the longtail opportunities – geographically targeted and otherwise. People don’t search with single words like they used to but rather use Google to ask and answer questions. Long tail keywords are phrases of three, four or more words that together can be targeted. This is the difference between targeting people searching “inbound marketing” and “Maryland inbound marketing agency.” While there aren’t as many peopele searching for the latter, those who are would be much better leads for an agency like mine and therefore would likely have a higher close rate. 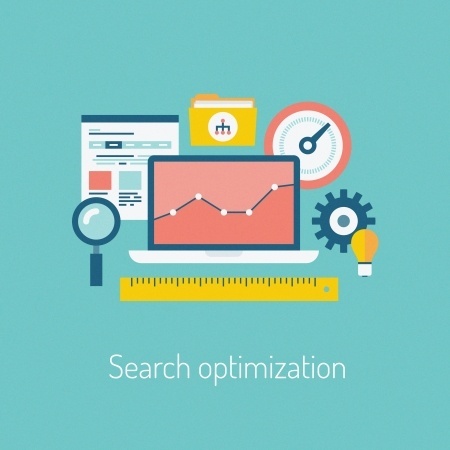 Is your site fully optimized? Do all of your pages, posts, images, and media files have meta titles and descriptions? How is your site speed? Are you utilizing HTTPS? Are your images optimized using alt text? Are you using proper heading tags? All of these little things that you don’t necessarily think of affect your search engine results. The good news is that they’re pretty easy to fix. Stop using generic page titles like “products” and “contact” and instead think about how you can use your page title to pull in more relevvant keyword searchers. Upgrade your hosting to achieve faster site load times. There are lots of free SEO analysis tools out there. Take advantage of them! Look at your inbound links and monitor them to be sure they’re coming from quality websites. Inbound links that look like they may be purchased are more damaging to your search engine results than the content on your website, so track them and be sure they’re legitimate. Google Webmaster Tools is a great way to do this. Set your account up and you’ll get notifications if Google suspects a bad link and is going to penalize you for it. When this happens, you can request that it be removed. As an aside, there is always the option to pay for keyword searches through pay-per-click advertising. No matter how much you pay however, I have rarely seen PPC searches result in more than 10% of total traffic to a website for any of my clients. Meanwhile, organic traffic is often at least 50% of traffic driven to websites. Why invest the money when you can optimize your site, produce regular and quality content and have results that will drive more traffic to your website?